At Peninsula Dental School you will enter a learning environment in which you can learn the knowledge, skills, and behaviours that are essential for your personal and professional development, and effective professional practice, in the complex world of healthcare. The course is modular and all modules must be successfully completed to progress to the next year of study. The curriculum is based on an Enquiry-Based Learning (EBL) approach using a clinical case to introduce students to the knowledge, skills and attitudes needed to become first-class dental professionals. Assessment will be both formative and summative and based on current best practice in clinical education. Students will progress between modules and years of the course only after demonstrating that they have gained requisite knowledge, capability, and clinical experience. Assessment is an important part of study, serving the learning process in a number of key ways. The assessment process determines the standard you are working towards and demonstrates that you are achieving it. Importantly, regular assessment enables you to view your progression and development objectively. At Peninsula Dental School, we want you to complete the programme successfully. The assessment process is a key tool in quickly detecting any issues that you may have with your learning. It can provide a clear signpost that you may need further help and support with your learning. You'll work through a series of clinical cases in groups of eight guided by a trained facilitator, each case lasting a number of weeks. Each group meets on a regular basis; for example, in Year One you will meet four times a fortnight to discuss the case, define the learning objectives and share knowledge and information by reporting back what you have learned individually. Between meetings, students are expected to enquire into all aspects of the case including biomedical, public health, human science and professional aspects. This self-directed learning is supported by an intensively structured learning environment. Activities in the Life Sciences Resource Centre, the Simulated Dental Learning Environment, the Clinical Skills Resource Centre and clinics will relate to the EBL case you are studying. In this way you learn about the science and art of dentistry in a clinical context and all of your learning is contextualised into your chosen vocation. You will be brought together regularly for large group teaching sessions. Plenary lectures focus on specific subjects relevant to the case you are studying and often involve external experts. Telematic links allow interaction between the sites and with speakers. These signposting sessions are platforms for learning and will provide an invaluable opportunity for students to meet together, along with an acknowledged expert. You are expected to interact with the speaker, and develop your learning by exploring their views and expertise. Although you are given extensive support and direction, you are expected to take responsibility for your own learning. Self-directed learning is especially important in dentistry as this approach will prepare you for a lifetime of learning in your career. You are, of course, supported by an Academic Tutor and other School staff throughout the programme. You will learn clinical capabilities and skills in the Simulated Dental Learning Environment (SDLE). Throughout the programme competence in clinical procedures will be developed prior to employing these skills on patients. You'll learn to gather information, take patient medical histories and carry out a detailed clinical assessment. At the same time, you will develop the ability to interact with patients in a variety of situations. Learning about the social context of health and disease, as well as developing your communication skills, will enable you to understand the needs of individual patients and ensure that you are able to provide appropriate treatment in a truly holistic manner. who will display a variety of oral diseases, as well as systemic conditions, will underpin the development of your clinical skills. This experience will develop your ability to think and perform like an expert in the clinical environment. 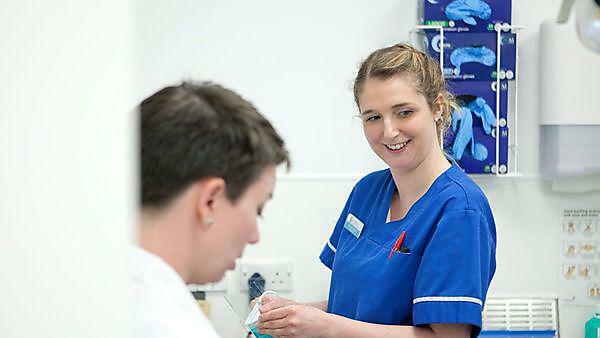 Special Study Units (SSUs) involve working with providers from the NHS, university staff, and the community and voluntary sectors, in a wide range of settings. SSUs provide a challenging and stimulating way to develop your critical thinking, as well as your scientific and analytical skills. During Year One, the SSU takes place over a two or three week period and involves placements within the community. This will give you the unique experience of working with key organisations within the community who help and support people in a variety of settings such as primary, secondary and further education as well as in community access centres, youth clubs, rough sleepers refuge, care homes etc. You will be expected to undertake research into your allocated organisation, conduct an informal interview to discover how the client group access health and wellbeing services, and the factors that impact onto the dental and oral wellbeing of the beneficiaries. In Year Two all Dental and Therapy and Hygiene students will work for several months with colleagues to develop a programme of support for a target group. You will be allocated an academic tutor who oversees your academic progress and personal and professional development. Your tutor is the first point of contact for academic support for the duration of the programme. You will meet with your tutor to review your progress in clinical skills, personal development and academic learning once a term. Students are allocated a new tutor each year. Remediation and study skill support are available. At all stages of the curriculum your learning is supported with on-line systems, activities, and materials including state-of-the-art multimedia. Moodle, the Schools’ web-based Digital Learning Environment (DLE) provides access to both your personal space including your emails and timetable, as well as supporting course information, learning materials and library resources. Resources such as electronic journals, encyclopaedias, interactive on-line learning materials, formative on-line computer aided assessments, and discussion forums in various open, private, academic, and social contexts are all available to students at any time through the web via Moodle. The Dental Community Engagement Team will support and help you to understand the issues and problems facing different neighbourhoods and how you can make a difference. Devonport, as a neighbourhood faces many challenges; it is a ‘New Deal for Communities’ area and as such has received government funding to improve and develop housing, increase community cohesion and develop regeneration initiatives. In terms of its health deprivation indicators, health inequalities in Devonport are one of the most pronounced of any of the government’s New Deal for Communities areas.